Wells Fargo announced Wednesday that it would be refunding customers who paid rate-lock extension fees that they should not have been charged. Rate-lock extension fees are charged to a borrower when a loan approval is delayed beyond the time a certain interest rate has been guaranteed. But the fees are only supposed to be charged if the delay was the borrower’s fault. 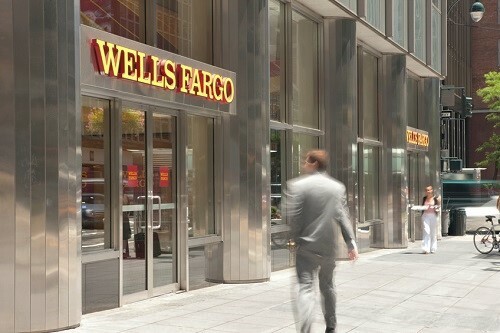 Wells Fargo was sued in August by borrowers who claimed that the bank charged them rate-lock extension fees on mortgage delays for which the bank itself was at fault. Wells Fargo was also sued by former employee Mauricio Alaniz, who said that the bank’s mortgage-processing and underwriting departments were so understaffed that applications were often delayed – but rather than waiving the fees, bank employees would blame borrowers, falsely claiming they had submitted incomplete or inaccurate information. The refund announcement comes as the banking giant reels under the pressure of multiple scandals. CEO Tim Sloan, who was grilled Tuesday by an unsympathetic Senate Banking Committee, mentioned the refund plans as part of his contention that the bank was making progress. “We want to serve our customers as they would expect to be served, and are initiating these refunds as part of our ongoing efforts to rebuild trust,” Sloan said in Wednesday’s announcement. The bank will be contacting borrowers who were charged rate-lock extension fees between September of 2013 and February of this year, it said. Wells Fargo estimated that it charged about $98 million in rate-lock extension fees to about 110,000 borrowers, but believed that “a substantial number of those fees” were legitimate. The bank said the total amount refunded would “likely be lower” than $98 million, since not all fees assessed were actually paid.